The NOTY High Committee is old. That's the only explanation we can conjure for our rank abdication of this esteemed event, that which grounded our lives for more than a quarter century; which gave the world Barkevious Mingo, Assumption Bulltron, Honka Monka and Crescent Dragonwagon (who's in the news, by the way; her mom died); which brightened countless days; which lifted the hearts of a nation. 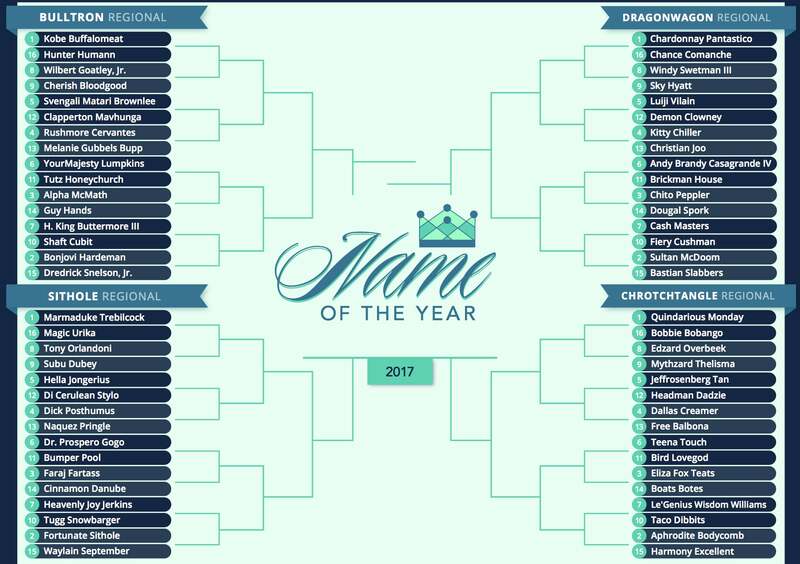 We dropped the ball in 2012, after a, um, let's just call it protracted 2011 NOTY Tournament. We weren't proud, of course. But we weren't feeling especially guilty either. It was a good run. Good runs come to an end. We hoped, though, that someday, someone would emerge with the brains, desire, moxie and scrappitude to reraise the NOTY banner and carry it forward. And a couple of months ago, they did. 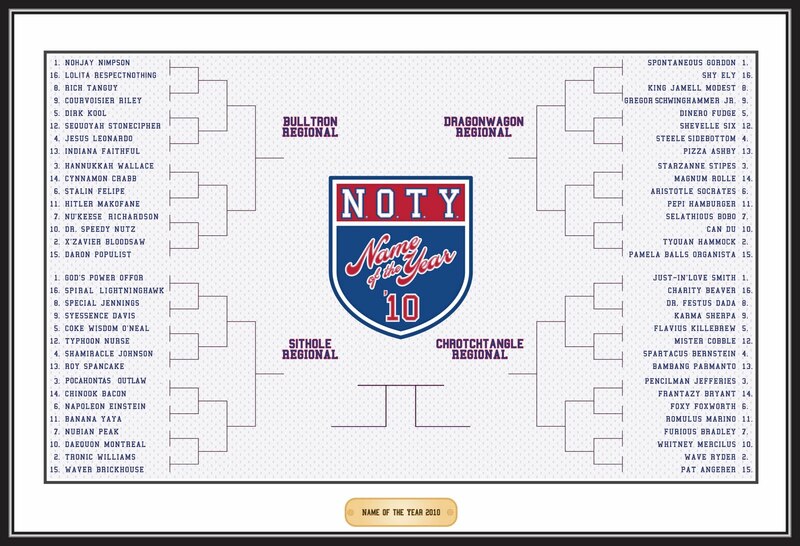 Young Sam and Tom, pained by our disappearance, took it upon themselves to compile a 2013 NOTY Tournament bracket. We were notified by a friend at Deadspin, which Tom and Sam had smartly emailed, and we got in touch. We were flattered by their fealty. We were impressed with their writing, and their bracket. We approved of their cheeky but appropriately respectful land-grab. We turned over the keys to the kingdom: the email password. Let the NOTY word go forth from this time and place, to friend and foe alike, that the torch has been passed to a new generation—born around 1990, tempered by Danger Guerrero, disciplined by Mummenschontz Bitterbeetle (invalidated) and Shalom Dreampeace, infatuated with Vanilla Dong, determined to manifest our Destiny Frankenstein—and unwilling to witness the slow undoing of those onomastic rights to which NOTY has always been committed, and to which we are committed today on the NOTY blog and around the internets. As with most of our NOTY endeavors of recent years, this news comes late. 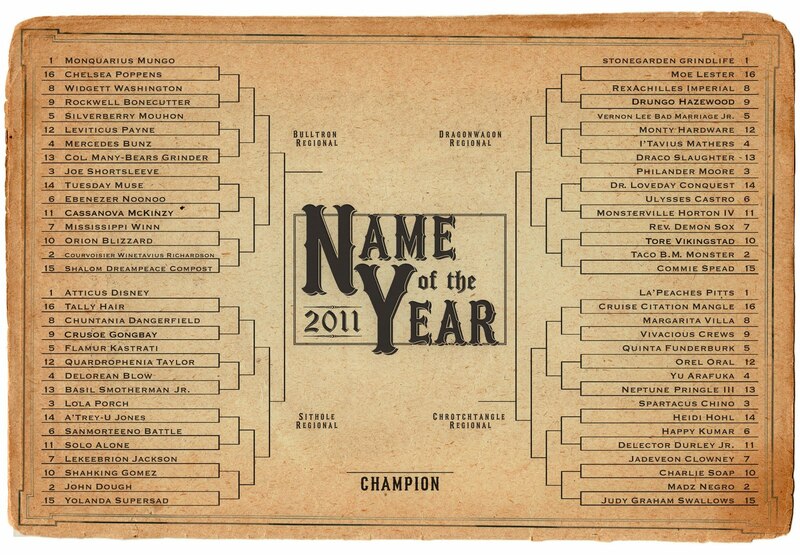 NOTY 2013 is already down to a Final Four. So head on over to the new, though possibly temporary, site and vote. 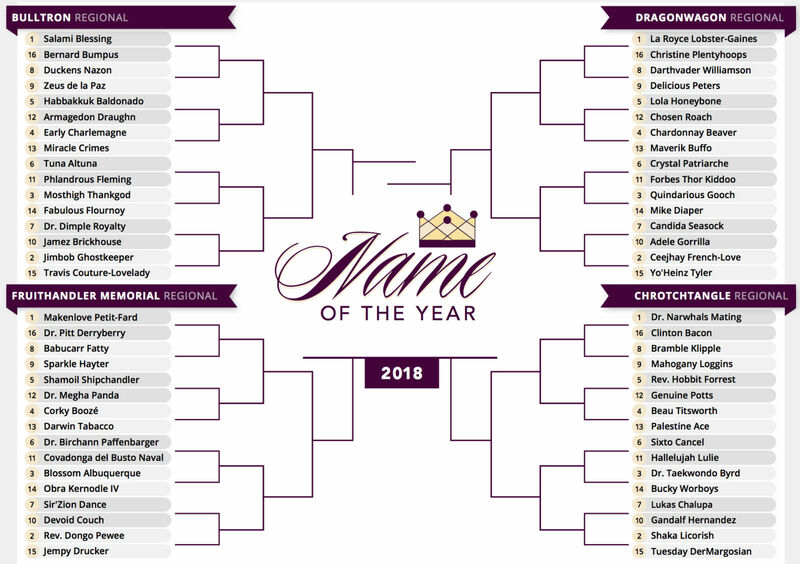 Once this year's champion is crowned—Pornsak Pongthong or McWisdom Badejo? Smokey Don Pipes or Leo Moses Spornstarr—we'll get things merged and organized and ready to roll for 2014 and beyond.